Produced in Japan this soy sauce is the foundation of Japanese cuisine, made from organic Soya beans and wheat which have gone through the fermentation process then matured in cedar wood kegs. 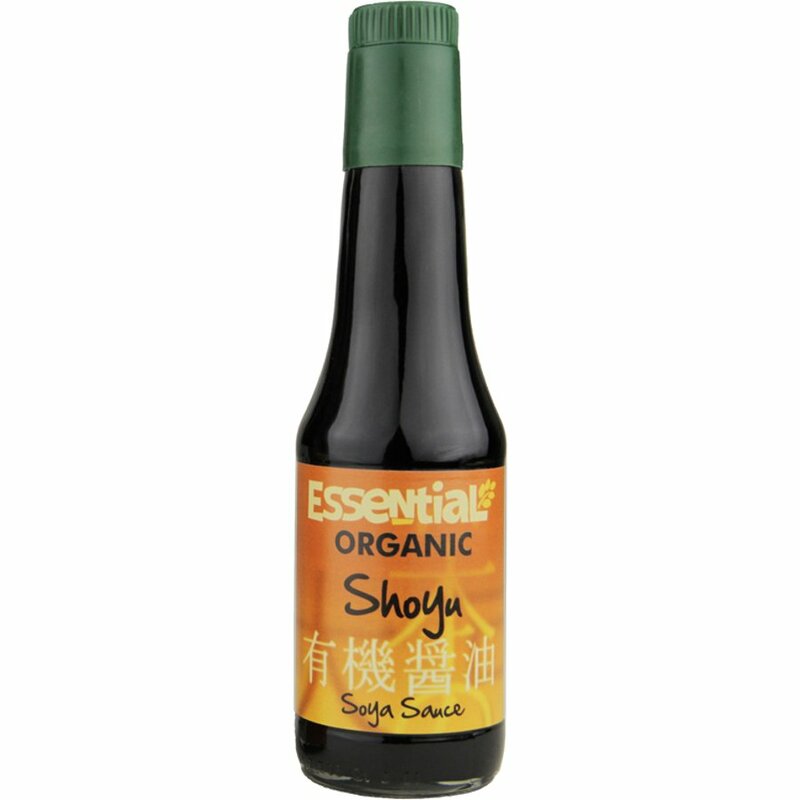 With a rich yet savoury taste, shoyu can also be used as a condiment for soups or vegetables. Water, Soya Beans*, Wheat*,Sea Salt, Koji* (Aspergillus Oryzae). The Essential Trading Shoyu Soy Sauce - 250g product ethics are indicated below. To learn more about these product ethics and to see related products, follow the links below. There are currently no questions to display about Essential Trading Shoyu Soy Sauce - 250g. Essential Trading is an independent co-operative business which is working to resist the trends of mass-produced supermarket foods, and are instead developing their own organic range, guaranteed GMO free with no unnecessary additives. Their quality foods are designed to contribute towards a good diet and assist in leading a healthy lifestyle, whilst also being produced in a manner which protects the environment.